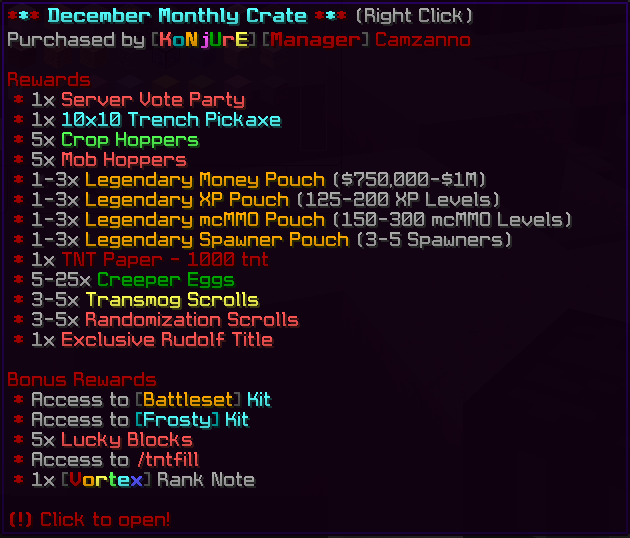 The monthly crate for December have now been released! Finally, congratulations to "EpicBarrier" for winning the raffle draw for vortex rank! Please contact me me on discord @ Cam ツ#9844 to receive your Vortex rank note!